Kashmir’s famed melody queen and legendary singer Raj Begum passed away during wee hours on Wednesday, family sources said. She was unwell for a long time. Born in 1927, she was honoured with Padma Shri in 2002 and got Sangeet Natak Academy Award in 20134. The latter is India’s highest honour to a practicing artists. 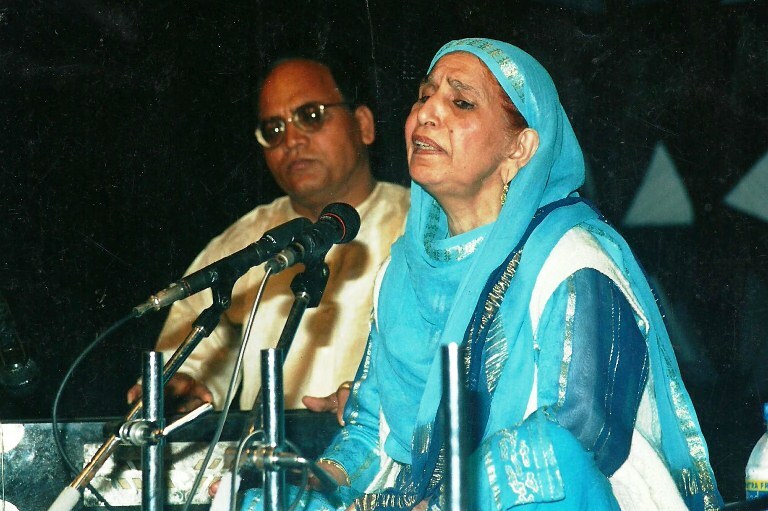 Her captivating voice has ruled generations of Kashmir’s music lovers. She had taken off as a wedding singer and then rose gradually to become one of the most powerful female voices in Kashmir. Survived by two sons, a daughter and a number of grand children, Begum was putting up with her daughter who lives in Chanpora. Begum was born of Ghulam Rasool Sheikh of Magarmal Bagh in Srinagar on March 27, 1927. Like most of the great singers, she started singing in her childhood. As she grew up, she started singing in weddings. Post-1947, when the Radio Kashmir Srinagar started operating here, she was one of the main melodies that the station would broadcast. She retired in 1986.